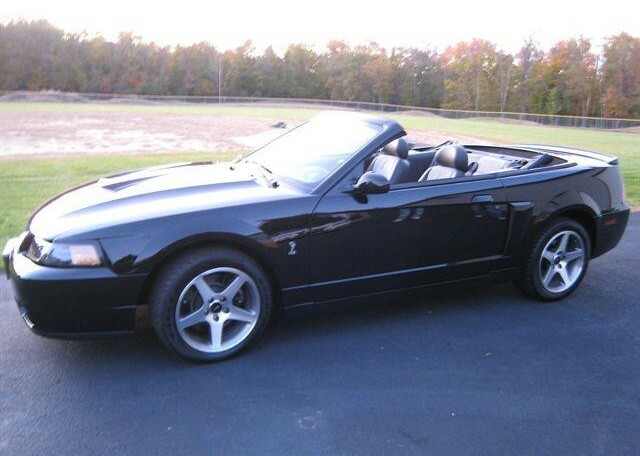 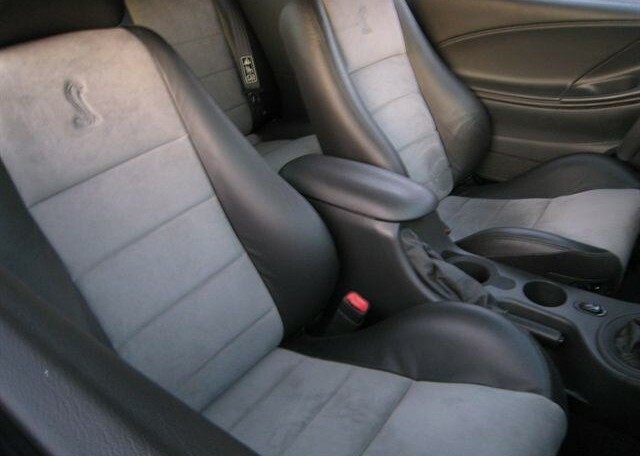 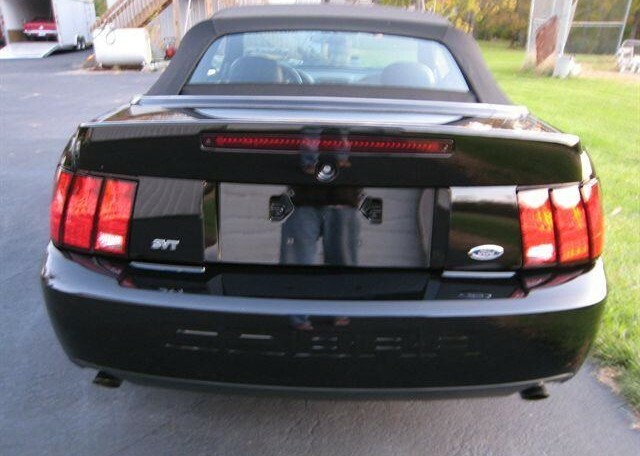 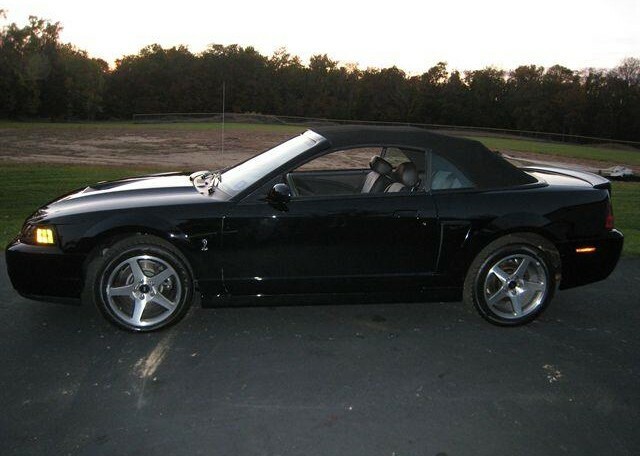 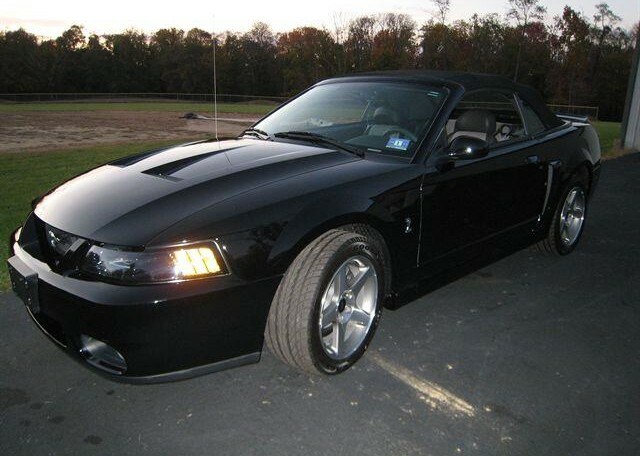 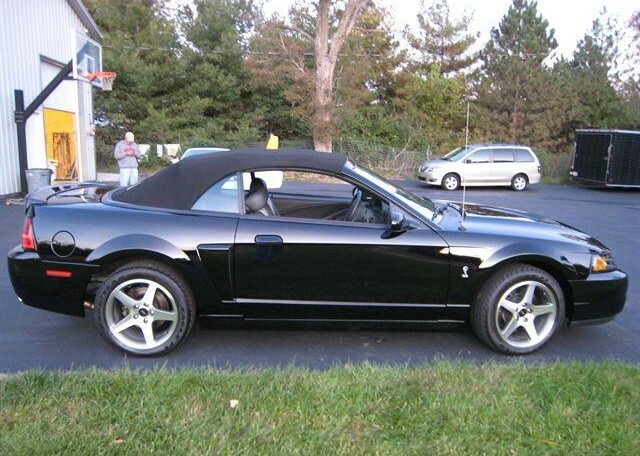 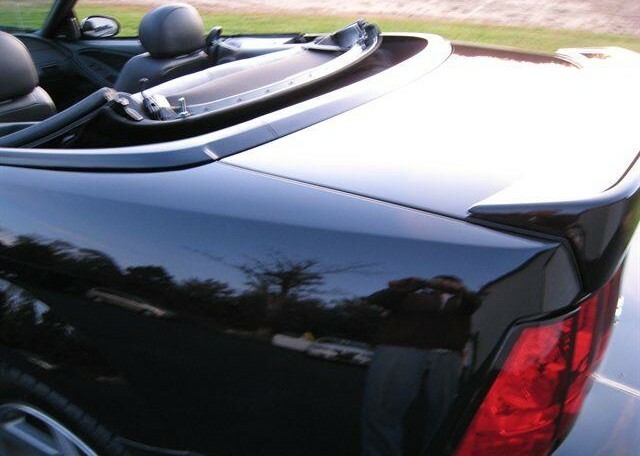 2003 Ford Mustang SVT Cobra Convertible for sale,Black, 1982 miles. 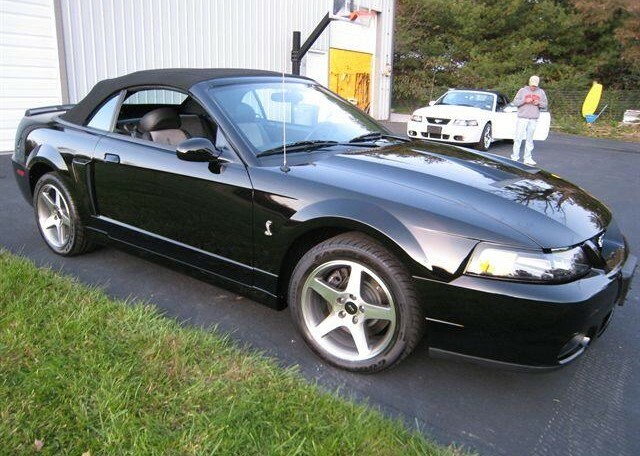 One owner, BEAUTIFUL COLLECTOR CAR, STILL SMELLS BRAND NEW!!!!!!!!! 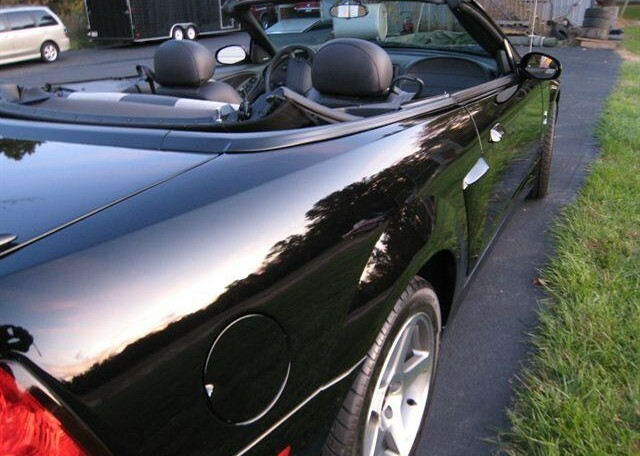 NEVER SEEN RAIN, always stored inside and kept immaculate. 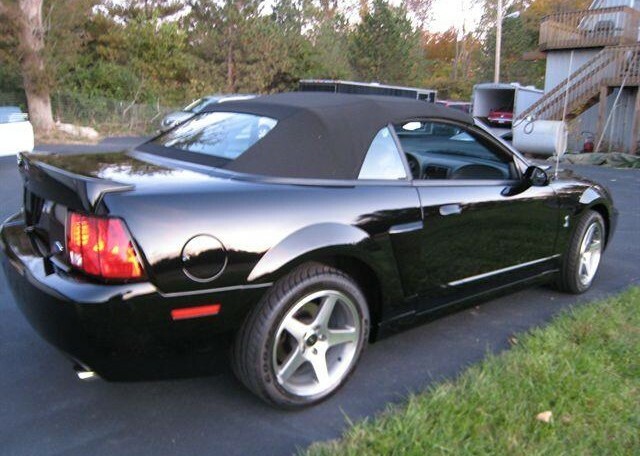 Includes custom car cover to keep dust off…. 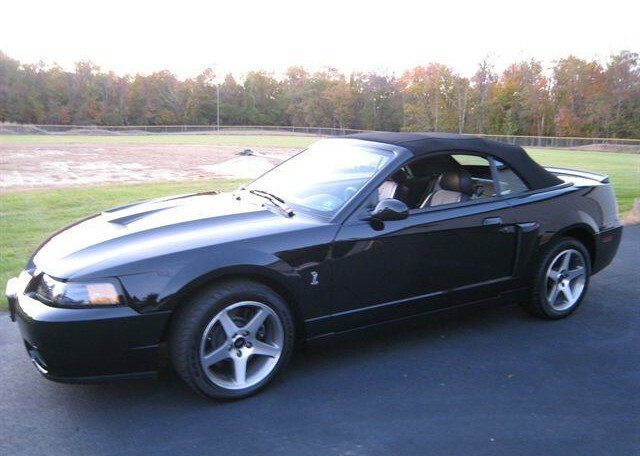 Debuting in early 2002, the 2003 Cobra (code-named Terminator by the SVT development crew, and quickly fell into common usage for the 2003/04 Cobra), came with a supercharged 4.6 L DOHC engine. 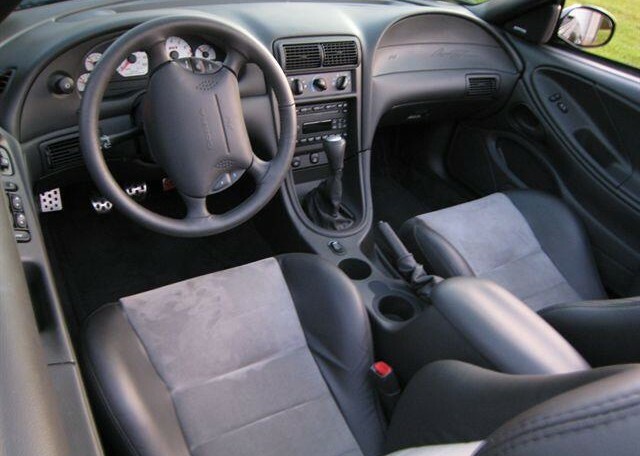 Numerous improvements were made to the powertrain and driveline to handle the increase from the previous model year. 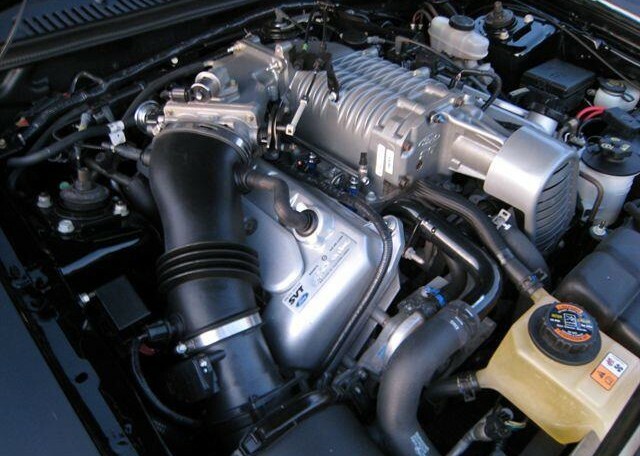 A cast-iron block was used instead of aluminum, with stronger internals, including forged Zolner pistons and Manley H-beam connecting rods that were modified with a wrist pin oiling hole by the SVT engine builders. 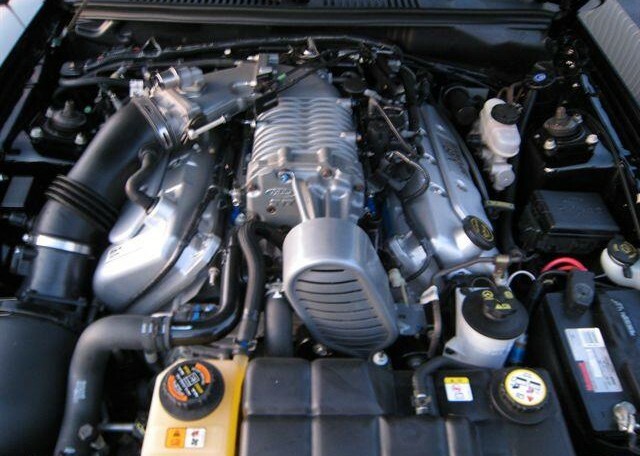 These upgrades were critical in order to support the 8 psi (0.55 bar) of boost delivered from the stock Eaton M112 roots supercharger. 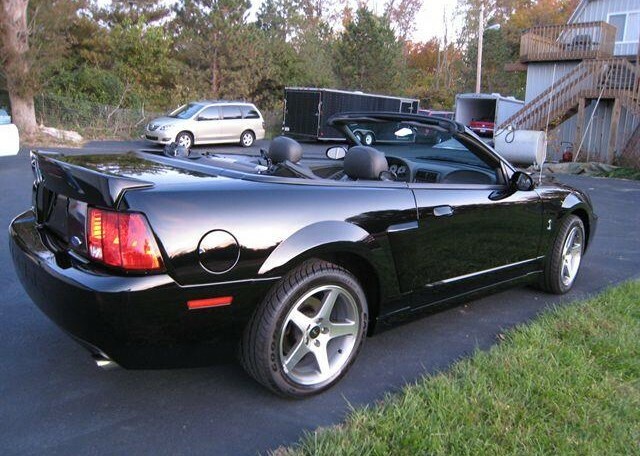 Other improvements include the use of an aluminum flywheel connected to a Tremec T-56 six-speed transmission, 3.55:1 rear axle ratio and stronger 31 spline half shafts with revised upper and lower control arms. 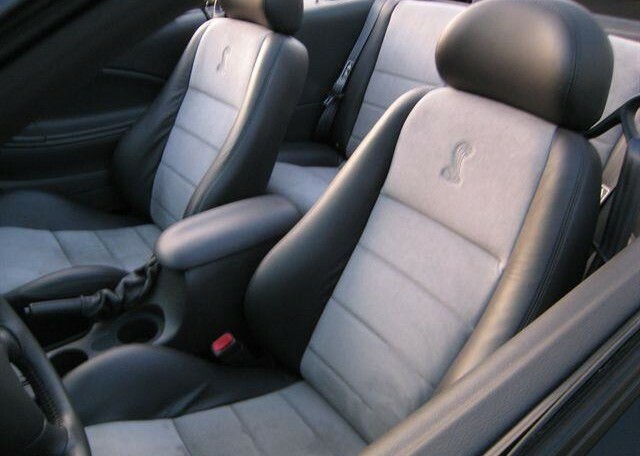 These modifications launched the Cobra from 0-60 mph in 4.5 seconds and the quarter mile in the high 12’s at over 110 mph (180 km/h). 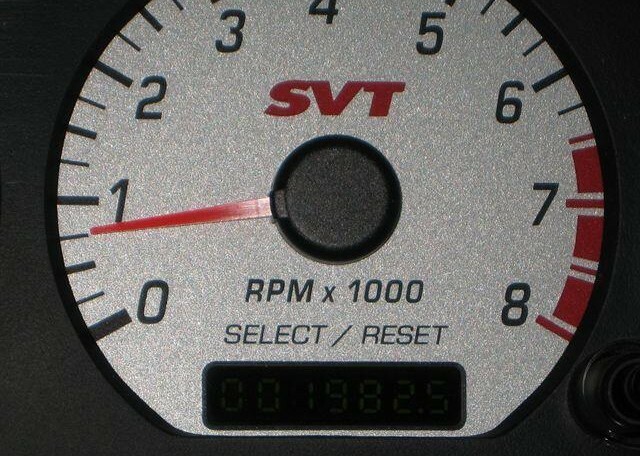 Some have gone as low as 12.4 seconds with a professional driver and good conditions in stock form.